If you have a significant level of nasal congestion, interrupted sleep due to snoring, or any number of other nasal problems, you likely need an advanced nasal dilator to help restore healthy breathing. Snoring and other nasal problems can often be the sign or symptom of any number of physiological problems, such as sleep apnea or high blood pressure. WoodyKnows was founded in 2006 to help customers find an affordable way to reduce their snoring and nasal congestion, whether it is from allergies or a chronic problem such as sleep apnea. 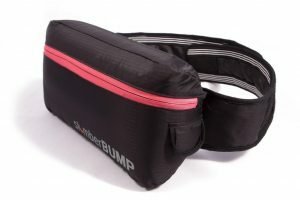 The product is not an anti-snoring solution, but it does help to significantly reduce snoring. 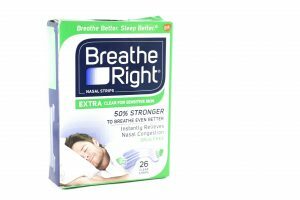 The company also creates nasal filters, sleep masks, mouth tape, and a number of other sleep and snoring aids to help result in peaceful sleep. Many of their products are targeted at those who suffer from allergies, which are usually a seasonal affliction. However, some of their products are also good for those who are looking for a solution at any time of the year. The company WoodyKnows has even specifically created an aesthetically pleasing sleep solution for women called the su-zi pink slim. Update: WoodyKnows now has a new dilator that comes in four sizes. I tested this and found it to be a great alternative to their previous version reviewed below. The new dilator is soft and provides excellent dilation. Read more about the new WoodyKnows dilator here. Despite its rather large size, it is in fact very flexible, meaning a customer of any nose size or shape can adapt the nasal dilator for their specific needs. Each package arrives with three separate dilators, which is great in case you lose or misplace one or two. Each package comes with thorough and direct instructions on how to properly use the device. 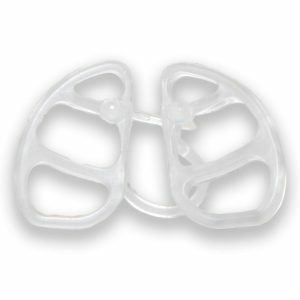 The nasal dilator is BPA free, and its invisible design renders it very easy to wear without ruining your aesthetic or making it blatantly obvious you are wearing an appliance. This means you can wear it during your day to help relieve your breathing instead of simply when you are going to sleep at night. The natural design helps to ensure the item stays securely in its place and makes sure the appliance fits very easily into your nostril. 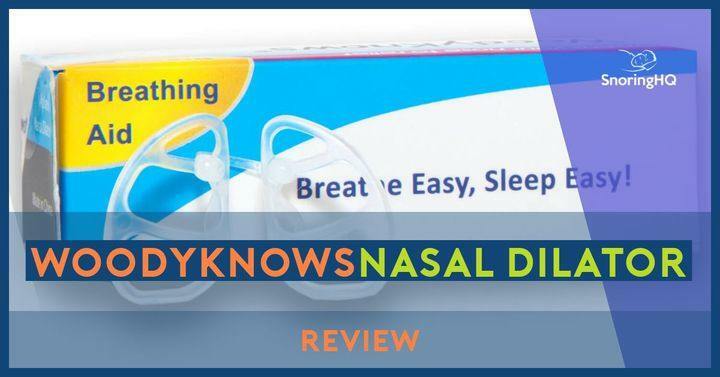 When I first bought the package and removed the insert slip of paper I realized the product contained instructions that were much more detailed in scope than any other nasal dilators that I had tried in the past. However, the detailed instructions were by no means condescending to the reader. They helped me to quickly and efficiently insert the device into my nostril. I decided to try the nasal dilator after finishing brushing my teeth, just to see how it felt on a bare, morning face. I could barely fit it into my nostrils because the device was so huge! It really stretches out your nostrils. My wife and I had a good and hearty laugh at how big my nostrils appeared with the nasal dilator inserted in them. I have never utilized a nasal dilator that comes anywhere close to how big these stretched my nasal airways. However, despite the initial shock at the change in my appearance, I realized I did not care that much, and after a few minutes, I got used to both the look and the feel of the device. After all, the point of the nasal dilator is to, well, DILATE my nostrils, and if it did not feel like it was stretching out my nose, what is the point? Overall, in that case, this is an excellent nasal dilator to help maximize airflow through my nose. The only other device that I can think of that can be realistically compared to the size of this one is the MUTE, since you can adjust the size of that nasal dilator, and they also arrive at a relatively large width. Even though the WoodyKnows nasal dilator was rather large at first insertion, it was quite comfortable, and I barely noticed it for the rest of the morning. I took out the nasal dilator for the remainder of my day, but I did put it in again a little later before falling asleep. My wife and I logged all my snoring for the night on a piece of paper. The snoring results were a bit mixed, as my usual snoring still took place with the WoodyKnows nasal dilator. Unfortunately, neither my wife nor I noticed a significant reduction in my snoring on the snoring app I have on my smartphone. When I did wake up at night, I experienced some discomfort while wearing the dilator. When I woke up in the morning, the discomfort was a little noticeable, which I am attributing to the rather large size of the nasal dilator. 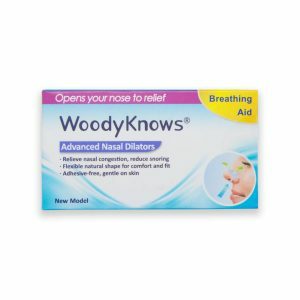 I would say that, ultimately, the WoodyKnows nasal dilator is probably better off being used for those who suffer from allergies on a seasonal basis rather than those who have chronic sleep apnea or other breathing issues, or even for those who are looking for a cure to their snoring. Or, the user should combine the piece with another anti-snoring solution like a mouthpiece. A natural shape that fits the nostril. At $16.99 per pack seems expensive. If you want to maximize your physical nasal dilation, use these. As with all nasal dilators, the results are mixed on the snoring reduction. 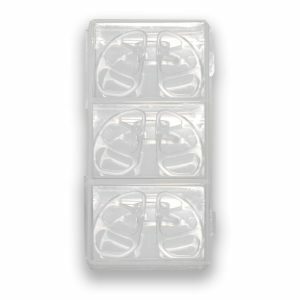 There are only three nasal dilators per package, which makes this brand a little expensive. You can even check out reviews on Amazon, which while mostly favorable, are also a little mixed.